Rosie Simmonds is head teacher at Leverington Primary Academy, where 96 per cent of pupils achieve Level 4 or above in their SATS. The school was rated as ‘outstanding’ by Ofsted and recently became an academy. Here Rosie talks about how, despite their achievements, they still face the challenges that all schools face – ensuring every child matters. Raising pupil attainment has been no mean feat at my school. Over a third of our pupils are on the SEN register and we face high mobility of our school population. In just one term, the proportion of children having free school meals almost doubled. Therefore, we need to work hard to maintain the levels of achievement we have spent so long building. As an academy, we have more freedom to make decisions about the curriculum and the resources that we purchase for the educational benefit and welfare for our children. However, it also means we are also more closely under the spotlight so we need to ensure our pupils continue to achieve. Alongside good teaching and learning, using data to track pupil progress is key to this. We enter achievement, behaviour and attendance data on to our SIMS management information system (MIS). We use this information to track a pupil’s performance to see where we can help support them more effectively. We had a boy, for example, who arrived from another school following permanent exclusion in Year 4. He was at Level 1 in all subjects at Key Stage 1, his attendance was poor due to ill health and he had ADHD. From his first day, I monitored his attendance and behaviour in our MIS as well as his achievement against short term targets that we set. By looking at data relating to his behaviour and performance in individual subjects, it was clear that when he was struggling to understand something, he would misbehave and distract other pupils. This helped us to make decisions about how we could intervene to improve his behaviour and achievement. To keep the pupil included, we used ‘time out’ strategies, a one to one rapid reading programme and enrolled him in a social skills group to improve his self-esteem and confidence. As well as feedback from teachers, data on the MIS showed us the impact of this intervention and the pupil is now on target to achieve Level 4 in English, Maths and Science by the end of Year 6. The improvement in his behaviour encouraged his parents to get more involved too and his mum asks for help from time to time. We look at the data of children who are high achievers too as it is important that we do not lose sight of their needs. An intelligent pupil that is not stretched will show signs of poor behaviour or disengagement from learning. By being able to spot these trends on our MIS we are able to step in earlier to provide more challenging work and offer enrichment activities. I firmly believe that data has a vital role in ensuring a school can understand and monitor to meet the needs of every child, and to help schools support their pupils in achieving more. Rosie will be taking a seminar at this year’s BETT show. “Using Data to Meet your Every Child Matters Obligations” will take place at 14:30 on 11th January in Conference Room One. You can book a place by contacting 0207 728 3898. Facebook is good, Facebook is bad – should Facebook be banned in schools? Dan Roberts, Deputy Headteacher at Saltash.net Community School in Cornwall, provides an insight into the use of social media in schools. Sir Ken Robinson said recently ‘that the advances in technology are opening up a complete new set of possibilities for education.’ I completely agree with this statement. One of these new possibilities is the use of social networking in schools. Some schools are actively embracing this technology while others are banning and blocking it – it is very much a current debate facing education around the world. I attempt to unpack some of this in this blog post. This is obviously a serious potential issue but perhaps if we educate our children and their parents in the acceptable use of this media it would minimize this type of misuse. In the last year I have seen Facebook used effectively in school in the following ways: as part of the main learning activity of the lesson, for groups of students to collaborate on learning projects across different subjects, to raise money for charity, for teachers to share good practice and plan together, to connect and communicate to parents and the community and even live streaming revision lessons when the students were on study leave. A new website that will be going live from the 17th September 2011 aimed at young people, teachers, Headteachers and Governors into helping them open up, unblock, and unfilter in their schools will aim to provide free support and guidance in doing this. You can visit and register for free at http://www.unblockedu.com. The education system faces irrelevance unless we bridge the gap with the use of social networking. Students are more aware of the world and eager to embrace new ideas and try new technologies and it is our obligation to the generation of children in education and those about to enter it to ensure they have the opportunities to learn in this type of way. 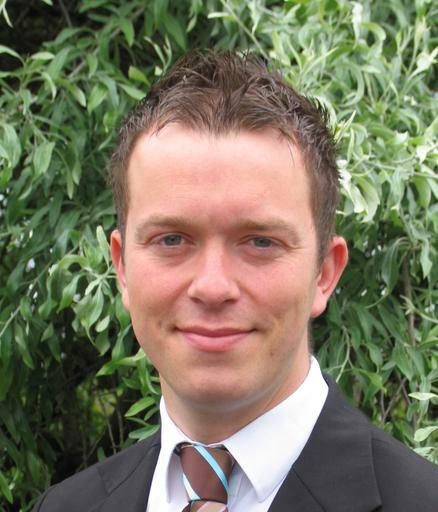 Dan Roberts is Deputy Headteacher at Saltash.net Community School in Cornwall, and a regular attendee of BETT. You can follow him on Twitter @chickensaltash or check out his blog: http://chickensaltash.edublogs.org.